Sigma recently announced a live show at London’s Royal Albert Hall as part of the Albert Sessions. Taking place on Saturday 27 May 2017, the ‘Sigma Live’ performance will make Cameron Edwards and Joe Lenzie (plus band) the first D&B act to headline the world famous venue. With previous sell-out shows at the likes of O2 Brixton Academy and The Roundhouse under their belts, Sigma have promised something special for the iconic Royal Albert Hall. 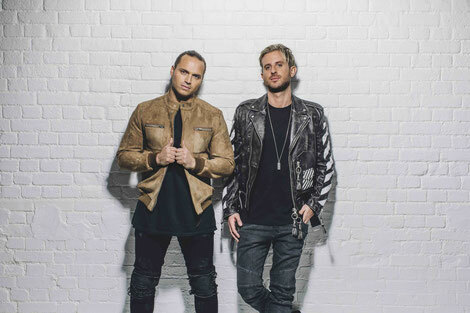 Set within a truly unique live music space, the duo will showcase exclusive material from their forthcoming new album, alongside their extensive run of hits that have possibly made them Britain’s biggest dance music duo. Sigma: “Every show we do is special but to play live in a venue like the Royal Albert Hall is something every artist dreams of. We can’t wait to perform on that iconic stage and we hope it’s something our fans are going to enjoy just as much as we will. For one night only we’re going to turn the place into a giant rave and celebrate the culture that we’ve come from." Recent single ‘Find Me’ (feat. Birdy) is the first track to be taken from Sigma’s second artist album; the as yet untitled album is due for release later this year and is the follow-up to their 2015 debut, ‘Life’. Featuring Birdy, the song’s music video stars Millie Bobby Brown, the young British actress from the hit series ‘Stranger Things’. The video received worldwide acclaim from Pitchfork, NME, Rolling Stone, Dazed & Confused, Stereogum, and many more. Currently in the studio finishing further new material, Sigma (aka Cameron Edwards and Joe Lenzie) after a two and a half year whirlwind that began with their first No.1 single. As it stands, Sigma have now sold over 300,000 albums in 10 months, with over 4 million singles sold in total, including 8 hit records (2x Platinum, 1x Gold, and 3x Silver). The Sigma Live Royal Albert Hall concert is part of the Albert Sessions, which encourage up-and-coming acts to play the venue, attracting younger audiences through lower ticket prices, and featuring unique masterclasses in which the headline acts share their expertise with young people from schools across London. Previous headliners have included Chvrches, The Tallest Man on Earth, Lianne La Havas, Kacey Musgraves, Jake Bugg, Foals and First Aid Kit.